On Wednesday here at AMERiders, we told you that an auction for 74 Historical Bikes was fixing to take place soon with McQueen’s Husky 400 from the “On Any Sunday” documentary being one of them. 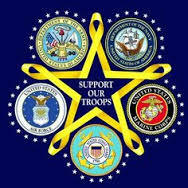 Today we let you know of a few more that have either sold or are being sold. From the Mini Bike from Dumb and Dumber to the Harley-Davidson Used In Terminator 2, Famous Motorcycles are Selling for Mind-Boggling Amounts. Plus we all know that Hollywood’s connection with motorcycles is long, slightly twisted, and legendary. The 1994’s cult classic Dumb and Dumber was up for auction on eBay In February. Within 48-hour of the auction going live, bidding had already jumped up to around $30,000. In the days that followed, bidding continued and the mini’s price steadily climbed until Sunday afternoon when the 100th bid for $50,029.99 was placed and won. That’s 30 bucks more than the MSRP on a brand new Kawasaki Ninja H2R. Sheesh really, I have no words for one the price of the 1st of our Famous Motorcycles listed here. 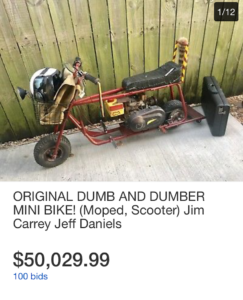 While it probably wouldn’t reach anywhere near the six-figure range that some of the iconic machines that have sold for in the past have, a minibike from the Jim Carey and Jeff Daniels comedy did sell for 50K. 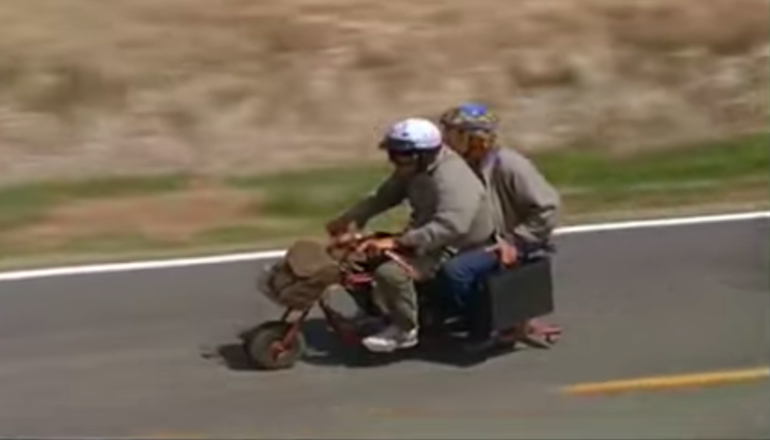 According to the seller; the mini two-wheeler that was for sale was one of two used in the movie, both of which were made by Sydney J. Bartholomew who also designed the film’s famous “Mutt Cutt’s” Van. With the mini from Dumb and Dumber selling for $50K, it wasn’t hard to see this one coming. 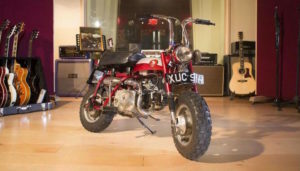 Following in March, the Honda Monkey-Trail Z50A that once belonged to Beatles co-founder and pop icon, John Lennon, sold at a UK auction for a whopping £57,500 which translates to just shy of $80,000 USD. The Honda went up on the auction block at the National Motorcycle Museum in Bickenhill, Solihull where it was expected to sell for a little over $40K, but bidding quickly rose far beyond the figure that valuation experts had calculated. “Naturally we were thrilled to be entrusted with the marketing and sale of this bike, given its extraordinary provenance. So to achieve this price is hugely satisfying,” stated Mark Bryan, Head of Sales for H Classics Motorcycle Department following the auction. We get it that it was owned by John Lennon, but we can’t shake the thought that someone just paid $80K…for a half-century old mini bike. Famous Motorcycles can go for mind boggling of money don’t you think. In 1974, Garry Marshall created Happy Days, a nostalgic look at 1950s teenage America. To complete the look, a cliched and lovable bad boy was needed for the cast. Enter Henry Winkler playing the pompadoured, leather-jacketed greaser Arthur “Fonzie” Fonzarelli. Fonzie was known for his roguish charm, his big heart, his ability to get machines to work just by hitting them, and his catchphrase, “Ayyyyyyyy.” He was also known for tear-assing around 1950s Milwaukee on a selection of fine antique Triumphs, one of which has just sold at auction in June for an incredible sum. With the show in full production, the producers needed a running bike knocked together in just a few days. “We made it up from parts and things lying around.” Ekins once stated in a Classic Bike interview from 1990. It proved to be the perfect choice, light enough for Winlker to handle and truly representative of what a 1950s teenager could afford. 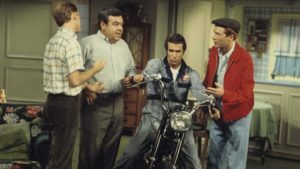 Fonzie’s TR5 rolled across TV screens for years until difficult starting and a sort of run down appearance caused the show’s producers to switch to a custom 1964 Triumph T100ss. It wasn’t just a different bike, it was even a different color. Never mind the continuity error—it also changed color throughout some episodes—no one cared. Pre-unit Triumphs like Fonzie’s TR5 have long since hit 5 digit prices, but the Hollywood connection is worth something, in this case, quite a lot. Way, way back in 1970, Honda began production of the ATC line of off-road trikes. That first model, the legendary, fat-tired ATC90, sold like gangbusters and gave birth to today’s billion-dollar ATV industry. 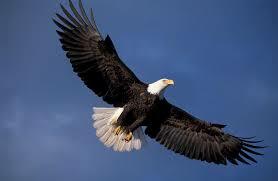 Why are we talking about this today? 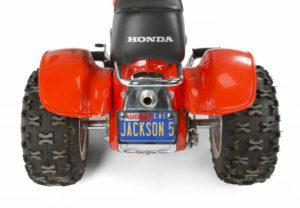 Well, it seems that a very special ATC is coming up for auction soon—one built by Honda specifically for the Jackson 5. This particular trike—a 1973 ATC70—was built for the famous family by American Honda and delivered to Motowon Records/The Jackson 5 on April 3, 1973. The delivery receipt, which is included in the auction, declares that the unit is ATC70 SN 1002534 and was designated “Promotional” material. It’s all original (apparently), and features a custom paint job and copious amounts of chrome applied by Honda before being delivered. It comes with an old school blue and yellow California plate that reads “Jackson 5” and a registration tag that expired in August of 1973 (we should note that Michael Jackson’s birthday was in August, so maybe this was his personal trike? We’re not sure). Aside from the cosmetic work, this trike seems pretty stock. It still has the 70cc, overhead-cam four-stroke single it was born with and the stock suspension—i.e. none. The auction is being handled by Julien’s, and bidding officially started on May 19, 2018. Despite that, there were two bids on the trike and Julien’s estimated that would eventually go for $10,000 to $12,000. That’s, uh, that’s pretty steep for a small, 45-year old Honda trike, to be honest. It is a piece of music history, however, and probably worth that just as a conversation piece. 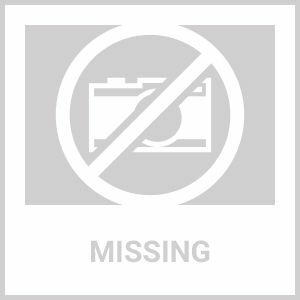 If you’re interested, you can find the Julien’s listing here. Which as you can see closed as unsold. Ahhnold’s Fat Boy was estimated to bring in more than $250,000 when it went up on the auction block. 1991’s Terminator 2: Judgement Day was a smash box office success, raking in more than $500M in ticket sales and cementing its place as a classic in movie history. One of the most iconic props was the Harley-Davidson FLSTF Fat Boy that Arnold Schwarzenegger rode while being chased through the Los Angeles River by Robert Patrick’s T1000 in a stolen heavy tow truck—a sequence coordinated by stunt legend Gary Davis. Well, that famous Fat Boy that hit the auction block at “Icons Legends of Hollywood Auction” held by auction house Profiles in History. The use of new generation computer graphics, combining live action with virtual reality and over an above the scene in which Arnold beating up bar patrons to secure a motorcycle – the Harley Davidson Fat Boy – However it did fetch a massive $480,000 (almost 3.28 crore) despite requiring some work to make it a road legal motorcycle. 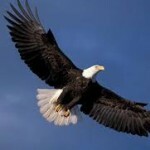 Let AMERiders give you information on Famous Motorcycles Selling for Mind Boggling Amounts.